In Sydney the beach, and the surf, is summer. People start to talk about the beach at the first signs of warm weather, and local media publish photos of the gently swelling beach crowds as evidence of the changing seasons. It is an annual metamorphosis of a city that seems entirely natural, a timeless ritual. Except that it’s not. 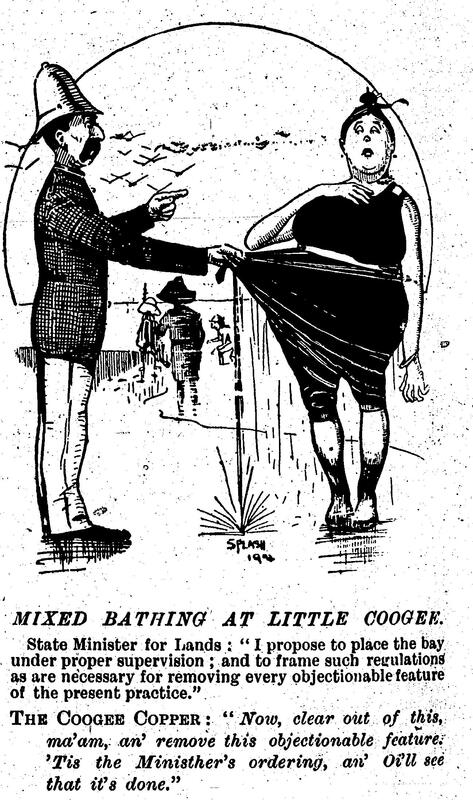 When the SMH published that piece in the early months of the First World War, its readers had witnessed, and participated in, a major shift in local beach cultures. Less than a decade earlier, most Sydney residents had likely not experienced the sensation of diving into the surf, and it was the mountains, rather than the ocean, where local newspapers had directed those seeking respite from the summer heat. 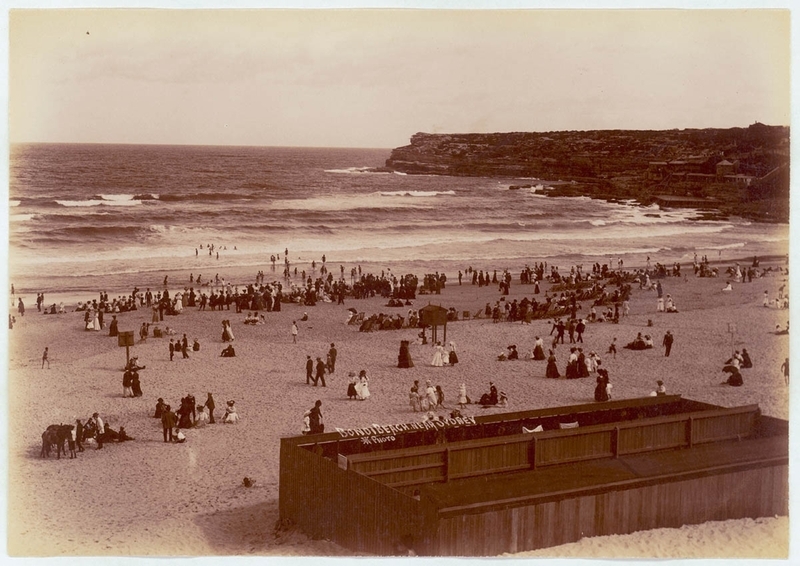 7 October 2014 marks 112 years since the Randwick Council voted to legalise all-day bathing on its ocean beaches. This was the first Sydney council to legalise day-time bathing on the ocean beaches (outside of the enclosed baths), and ended a ban that had been in place since 1838. A year later (in November 1903) the Manly Council followed suit, and the Waverley Council, albeit reluctantly, two years after that. These decisions were not taken lightly – each was preceded by long debates on the merits of permitting all-day bathing, and solemn consideration of ways of ensuring decency in preparation for the change. The Randwick Council had first debated the motion eight months before it ultimately supported it, and was heavily criticised by the neighbouring, and more conservative, Waverley Council. The display of bathing bodies on the cities beaches, even in approved, neck-to-knee costumes, remained contentious among some observers. Places to change into and out of swimming costumes were absent or inadequate, and bylaws dictated that bathers should proceed directly from surf to sheds – no loitering or sunbaking permitted. But the perceived health benefits of swimming in the surf soon dominated the public discourse of the beach in Sydney, and all but silenced the sport’s critics. Soon, newspapers were celebrating the virtues of Sydney’s sun, sand and surf, drawing yet more people to the beaches. In 1907, the first volunteer surf life saving clubs were created, forming a reassuring presence that mitigated one of the biggest barriers to mainstream surf bathing. Locals had always known about and quietly enjoyed the surf. But Sydney’s love affair with the surf had begun. This entry was posted in Uncategorized and tagged Bondi Beach, Bondi Beach Australian history, Clovelly Beach, Coogee history, surf, surfing history, Sydney history, Sydneys beaches. Bookmark the permalink.